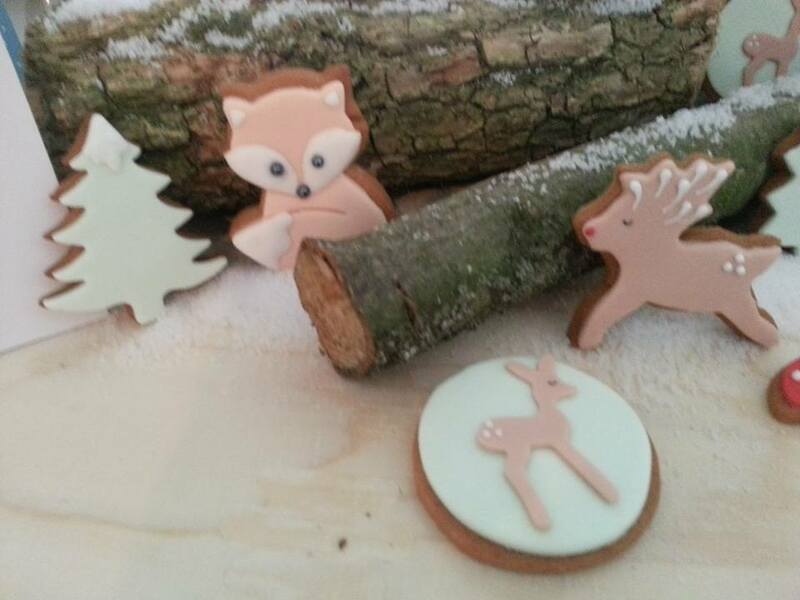 Mum of Five Staying Sane: A special shout out for Honeywell Bakes stylish iced biscuits. 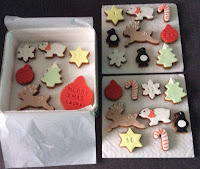 Biscuit gifts for all occasions including the upcoming Christmas season. A special shout out for Honeywell Bakes stylish iced biscuits. 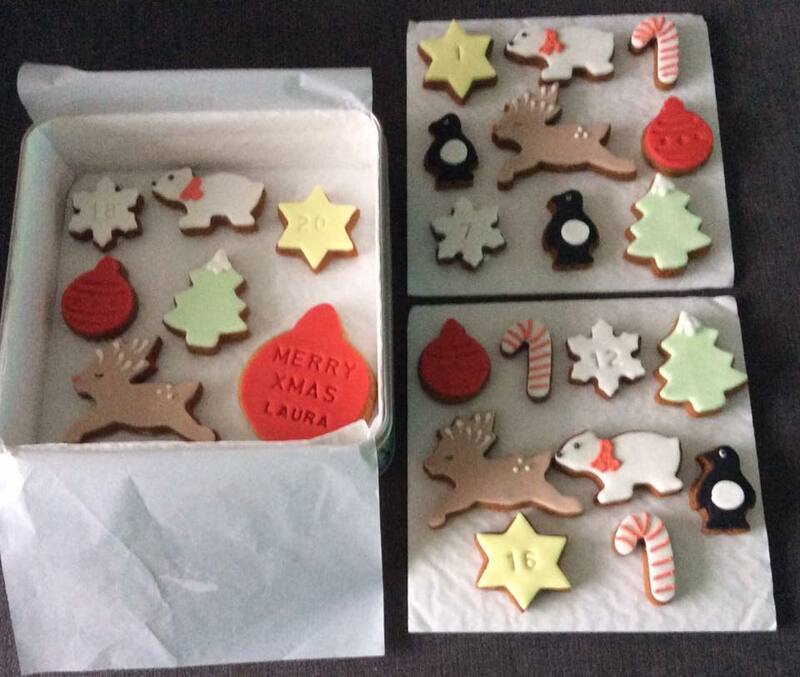 Biscuit gifts for all occasions including the upcoming Christmas season. 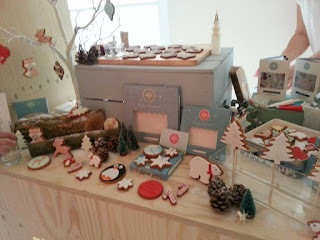 Back in July I attended a blogging event and met the lovely ladies from Honeywell Bakes. I was amazed by the wonderfully decorated biscuits that they make. The wonderful display of Honeywell Bakes goodies at the Christmas in July event. Honeywell Bakes was created over the kitchen table by sisters Rebecca and Rosie and their baking skills come from their mother who always had a fresh cake coming out of the Aga when they were children. Honeywell Bakes produce stylish iced biscuits gifts which are sold online as well as in selected retailers such as Selfridges, London. When I met the ladies back in July they were wonderfully friendly and completely understood my large family status! I was sent home from the event with a biscuit for each of the children which they were super excited to see and very much enjoyed eating. They have biscuits for every occasion from new baby to weddings, children's biscuits to get well biscuits. Biscuits for him or her and they also have a bespoke and corporate biscuit section if you are looking something unique for a special occasion or company event. 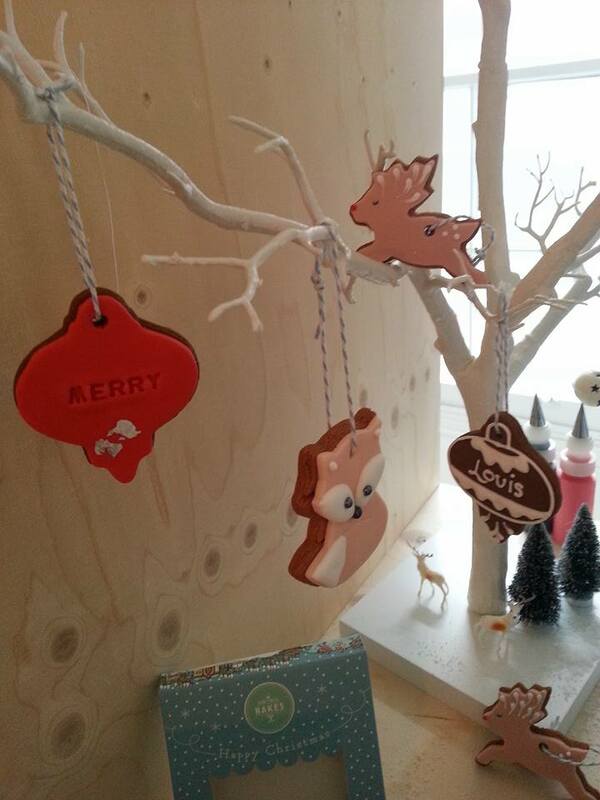 The biscuits come in various different shapes from animals to cars, baubles to hearts, barbecues to teacups. Whatever you are looking for there is something for everyone. Their seasonal biscuits section includes lots of goodies for the upcoming Christmas season. 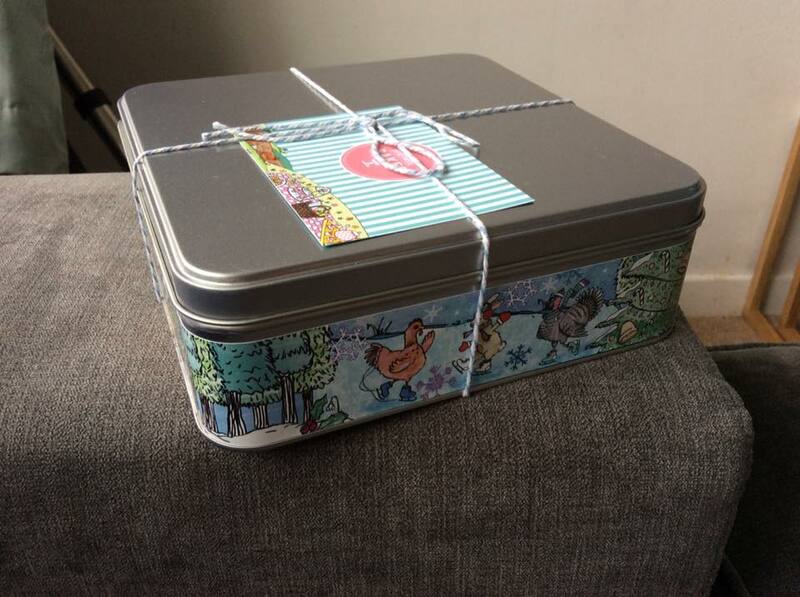 As well as the advent biscuit gift tin which I featured here in my advent calendar buying guide there is also the woodland animals gift tin which contains 16 woodland themed biscuits, the polar bear biscuit set and the personalised gingerbread decorations as well as the bake it yourself advent Christmas gift tin if you are up for making your own cookies. All of their products come well packaged and the biscuits last for up to two months if kept in an airtight container. Their website lists all ingredients and allergen information too. 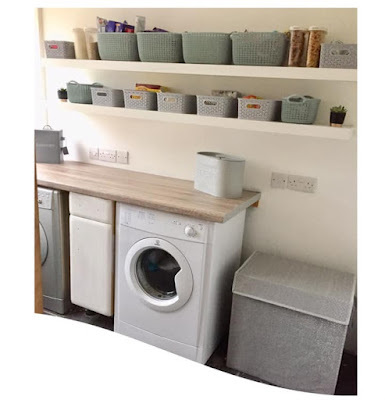 Honeywell Bakes have their own website and can easily be found on Twitter and Instagram. Why not check out their website for some wonderful festive goodies on the lead up to the big day or a gift for someone's birthday or maybe a special celebration.